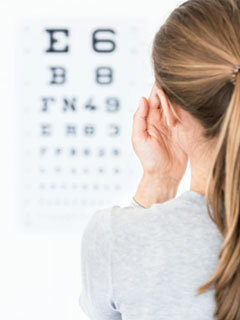 Complete eye examinations include an ocular health evaluation, glaucoma test, and an accurate computer assisted eyeglass and/or contact lens prescription by a New York State licensed optometrist. Our optical dispensary offers all types of spectacle lenses, including Varilux progressive, photochromatic Transitions, ultra thin Hi-Index, polarized, and anti-glare. Our optical maintains a large inventory of trial Acuvue Oasys, Trueye and One Day Moist, Air Optix, Fresh Look, and Biomedics disposable contact lenses, including colored, astigmatic, and bifocals. Usually you can have a pair of contact lenses the same day. We gladly train first time contact lens wearers. We won't let you leave the our office unless you are comfortable with inserting and removing the contact lenses yourself. Our optical offers over 1000 designer frames including Dolce & Gabana, Versace, Calvin Klein, DKNY, Coach, Donna Karen, Giorgio Armani, Ann Klein, Fendi and many more.